Emily Windsnap lives on a boat, but her mother has always been oddly anxious to keep her out of the water. It is only when Emily has her first school swimming lesson that she discovers why: as soon as she gets into the water, she grows a tail! Soon Emily discovers a glorious underwater world of fishes, coral, shipwrecks and mermaids, and, best of all, she finds a best friend! 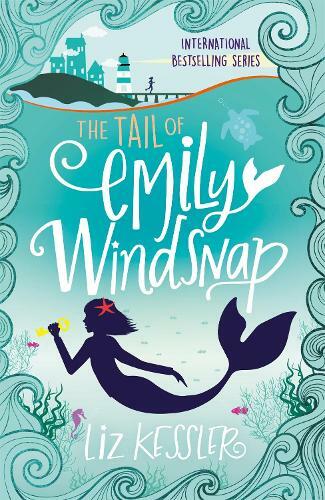 With mermaid Shona Silkfin by her side, Emily uncovers a surprising family secret and embarks on a quest to reunite her mum and dad. This enchanting fantasy deals with universal themes of family, friendship, love and justice - all handled with the lightness of touch for which Liz Kessler is so well known. Liz Kessler has written a magical adventure, twisting fairytale and siren myths into a new form that’s already enthralled plenty of readers and will inevitably enthrall many more in the years to come.